Money's getting a little short and I was hoping to upgrade my basic simulator (FMS) as it just doesn't really do it for me! Is there anyone out there with a Realflight or a Phoenix Simulator that you are finished with and would may be like to sell? A big improvement over the FMS sim. Some guys on here are talking about being able to buy pheonix somewhere for 13 bucks. Might want to keep searching the threads for a bit. can't remember where... maybe it was HK? Yeah, HK started carrying it. Please allow me to be the voice of dissent. Personally, I don't feel that simulators are worth much at all. Buy an inexpensive airplane, go out, fly, crash, repair and repeat. But, that's just me. I'll quickly disagree with teach here. It's rare that I do so I'll jump on it. The sim is invaluable to help work out orientation, especially if you are teaching yourself w/o the benefit of a trainer, buddy box and all the other nice things. I highly recommend a cheap or free RC sim to help work out out the left/right- coming and going and a few other "monkey" skills. HOW DARE YOU, NINJA! I challenge you to an air-to-air duel, sir! Just come on out to PA. I'm as broke as broke can be due to further adventures in automobile repair, so I can't afford air fare. I think sims are good for learning some of the more difficult aerobatics, like inverted flight, hovering, knife edges and rolling harriers. Stuff where the control through the manouvre isn't necessarily immediately intuitive. My sim is worth the price of the 12 dozen flying craft I have NOT crashed in reality! It is however, not near as fun as the real thing. I don't care for simulators to learn fixed wing planes since there are such good trainers out there and they are very tough. Learning 3D however can be an expensive thing to do and a simulator can save you tons. I bought a simulator for learning helicopters and I wouldn't recommend doing it in any other way. I ordered the USB dongle from dealextreme and it also came with some simulator software. My 3D maps on phoenix are not working, do you have the same problem? There is nothing I'd rather do than provide you with some much needed smackage. I wish everybody could resolve all of their interpersonal conflicts with RC combat! I only have a the cheap FMS sim, which I agree is very un-realistic but I do have to say has helped a bit. Thats why I thought maybe it was time to update. I am already flying, sky surfer, and have built 2 scratchbuilts but I would like that extra help, if foam was cheaper here in australia I would be happy with the build, fly crash and burn process, but if I can get that little extra confidence without having to spend a fortune i feel it would be worth it. 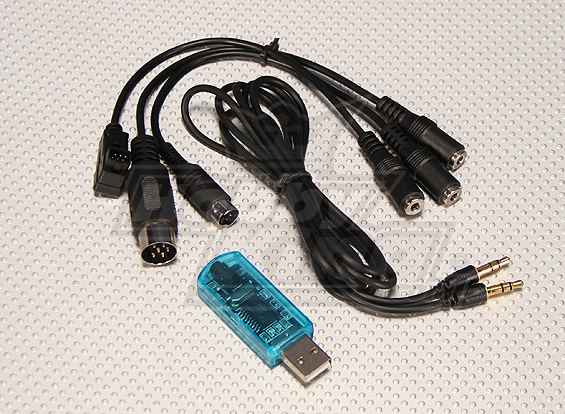 STUPID QUESTION COMING:- Are the Dongles actual Simulators or just add-ons to other sims? Yes, a sim will save a beginner hours of grief out in the field. I can't recommend them highly enough. I would almost go as far and say they are a MUST for someone who has never used a transmitter in the past. As was said above, www.DX.com offers several dongles and dongle+sim packages. I purchased a dongle and 2 DVDs with most of the leading RC Sims. I must admit, I did feel a bit guilty, since this offering cannot possibly be above board in regard to copyright infringement.